The all NEW Quintrex 550 Freestyler is here, featuring the all new Quintrex Apex Hull Design that is designed for both smooth and rough waters. The new Apex Hull Design features one sweeping flare compared to the traditional two flares of the blade hull and flared bow design. These new models introduce a new range to run alongside the current Quintrex models. 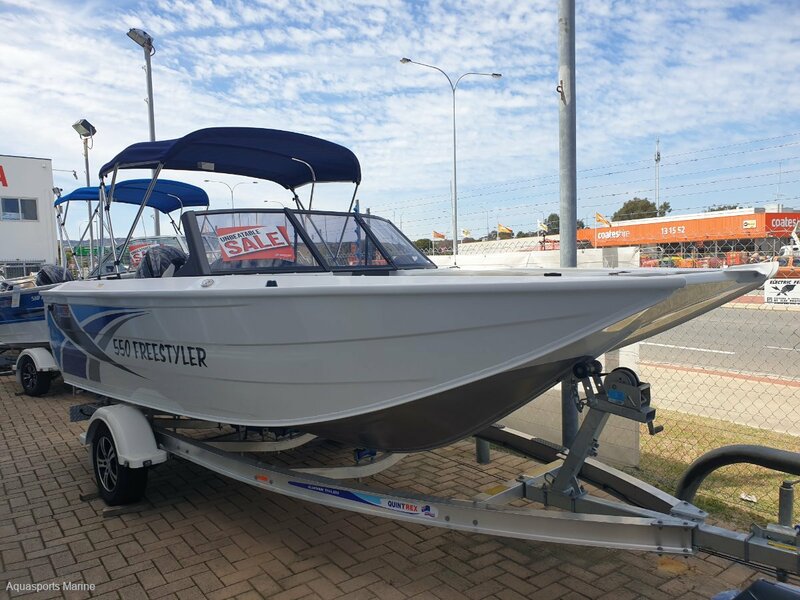 This new Quintrex Freestyler features some great options to convert a bowrider into the ultimate crossover boat for family and fishing. Phone for Options list - This one is jammed packed full of options.